Heroin Overdose Signs and Symptoms: How Much Does It Take to OD? 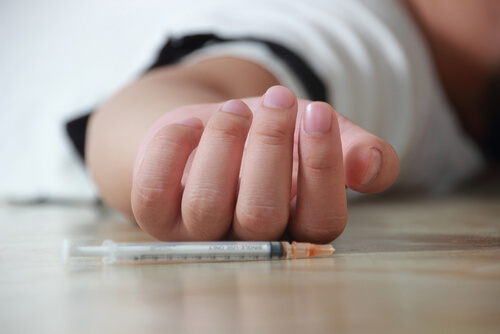 Heroin is an illegal drug that can cause fatal complications when overdosed. It is a highly addictive form of opioid that causes people to have an urge to continue using the drug, often leading to an overdose. Heroin overdoses statistics show an increase of over 500% in deaths caused by heroin overdoses were noted between 2010 and 2016. In 2016 alone, there were more than 15,000 deaths recorded that were linked to an overdose of heroin – this data is reported by the CDC and only accounts to the United States. Almost 948,000 individuals in the country reported using some form of this drug in 2016. Heroin costs as much as $20 for a single dose. This all means there is a great concern to educate the population about the possible complications of an overdose. 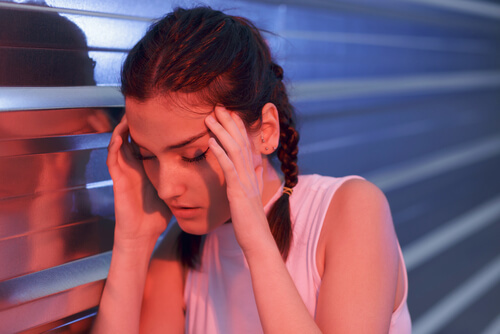 Understanding what to do in the case of taking too much opioid is also crucial. What are Heroin Overdose Symptoms? Which Factors Can Cause Heroin Overdose? How Does Heroin Overdose Affect The Body and Brain? How Much Heroin Does it Take to Overdose? Can One Die From Heroin Overdose? What To Do In Case Of A Heroin Overdose? What are the Heroin Overdose Medications? Heroin overdose symptoms can vary due to many factors. They include the amount of drug, the purity of the substance, the user’s age, and their physical condition. The type of heroin may also be a contributing factor – such as whether the liquid heroin or powder-based heroin was used. Of course, the usage of other drugs is very important. It is among the first things they investigate. This event has a negative impact on almost every organ in one’s body. Furthermore, death often occurs due to depression of the respiratory system. Additionally, heroin also lowers one’s blood pressure which can lead to heart failure. Arrhythmia is another major issue of a heroin overdose. Due to irregular heartbeat, organs can’t receive enough oxygen. This causes serious tissue damage. As a result, this can lead to pulmonary edema. The cause of this disease is fluid retention in the alveoli. As a result, it causes difficulties with breathing. Needless to say, this thing can cause serious brain damage. Brain impairment often happens due to lack of oxygen and head injury. Brain damage due to a heroin od is like Alzheimer’s disease. Also depending on the severity of the overdose, this side effect may be irreversible. Brain damage can also lead to a host of conditions. They include tremors, cognitive impairment, vision problems, memory issues, concentration issues, and seizures. The amount of heroin that can cause an overdose varies. Of course, it depends on many factors. They include one’s physical condition, age, height, weight, how you took the drug. Also, the use of other drugs or alcohol is also important. According to some sources, the lethal dose of heroin varies between 75 mg and 375 mg. Most of the deaths happen because of breathing problems. As said before, heroin depresses breathing and blood pressure. That can be very dangerous if a person is sleeping. In a normal case, our body knows how to breathe while sleeping, but that is not the case during an overdose. Another cause of death when it comes to a heroin overdose is heart failure. Longtime heroin addicts tend to combine this drug with other opiates with alcohol. As a result, it intensifies overdose effects. When a person overdoses on heroin, one of the first steps to take is to dial 911 and to ask for emergency assistance immediately. Heroin overdose treatment needs to be implemented as soon as possible. Since the opioid overdose can be fatal, it is important to notify the appropriate medical emergency team so that they can send out an ambulance. If the person is taken to the emergency room without the use of an ambulance, calling in advance to notify of a heroin overdose will allow the doctor to prepare the appropriate equipment and medicine to treat the patient at the facility faster. 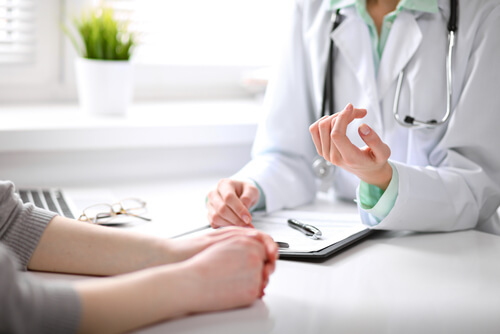 The person who might have taken too much of the drug should ideally be placed in a position that is comfortable until further medical assistance can be provided to them. Another important step for anyone close to the individual who had administered too much of the drug to take is to administer the patient with a shot of naloxone as soon as possible following the overdose (if available). Naloxone is a drug that is used to inhibit the effects that opioids have in the body, which can help to reduce the harmful effects of the drug in the case of an overdose. Evzio is currently one of the only prescription medications that have been FDA approved to be used at home in the case of an opioid overdosing emergency. It acts as a heroin overdose antidote, but only provides temporary relief. Even though this drug will not be a replacement for actual emergency medical care, it can help to reduce symptoms and increase the patient’s likeliness to survive the condition. Medical care may also be able to care for the patient and thoroughly treat the heroin overdose easier. The injector delivers a 2mg dose of naloxone into the patient’s bloodstream to temporarily counteract the effects of the heroin. Narcan Nasal Spray is another option that is useful for individuals with close friends or family members who are known to have heroin-related problems. In the case of an overdose, the drug can be administered through the patient’s nasal passage and will help to temporarily inhibit the effects that the heroin has, reducing the symptoms that the patient is experiencing due to the overdose. Narcan Nasal Spray delivers a dose of 4mg naloxone. Different treatment approaches for drug addiction and overdoses have been established. With opioid overdose, they will base the treatment of this event on life support and tracking life signs. The medical staff will conduct a blood and urine test to detect every substance the person took. Breathing support is also needed because the patient is unable able to breathe on their own. One of the most common medicines they use in heroin overdose treatment is Naloxone HCI. It can slow down and lessen the negative effects of an overdose. Then, the doctor will look for any sign, or symptom of pulmonary edema or endocarditis. They are the most common complications linked to abuse. When they have stabilized the patient, the doctor will suggest inpatient rehabilitation. If someone you know is suffering from a heroin addiction, then it is important to seek help before it is too late. Call a free drug hotline to receive counseling and further instructions on how you can help your friend or family member get the drug addiction rehabilitation help they need to overcome their addiction. If you or someone you know has an addiction to heroin, help is available through a network of effective rehabilitation centers. Simply get in touch with our 24-hour counseling line for advice at (888)-459-5511. Addiction Resource » Addictive Substances: The Anatomy of Drug Addiction » What Is Heroin Abuse: Why Is Smack So Addictive? » Heroin Overdose Signs and Symptoms: How Much Does It Take to OD?